Vaporizers, E-cigs, and Vape mods are more popular than ever and have come along way since their mass acceptance. Manufacturers of these devices appeal to the masses with their specific devices. However, some crafty people have taken up designing and building their own custom devices. These devices are self-contained, artistically or creatively designed from a person’s own imagining. We appreciate the time and effort put into creating such devices and have created a list of the craziest and most interesting vaporizers. A creation for not just a vaper, but also a gamer. Taking something that we all love and adding a vaping element make this mod truly awesome. 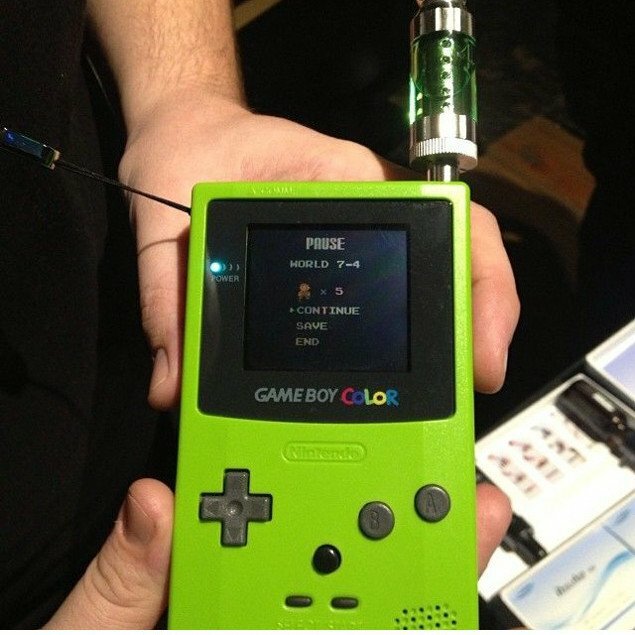 Are you in the middle of a session of Super Mario and need a vape? No worries, smash the pause button and inhale that vapor, then jump back in and finish off Bowser. There must have been a time when you saw someone lighting up a cigar with a zippo lighter, maybe on tv or in life. That distinct “clink” it makes when you open or close it. Personally, we love the look of such lighter. Turning one into a vaporizer just takes it to the next level. Are you about that bling? What about those fancy knuckle rings? Well if you fancy any of those you should appreciate this custom mod. Hold up one of these, and you are sure to get some attention, though maybe not all positive. 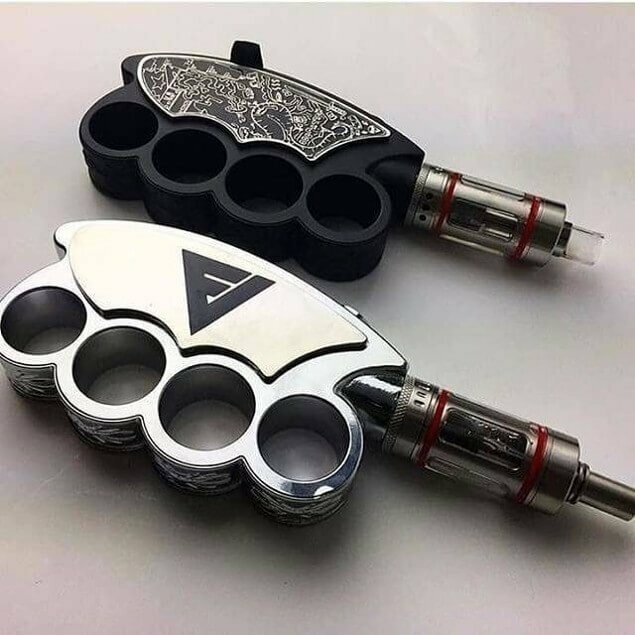 They do look like brass knuckles, so if you are going to the airport, it probably is best to leave this mod home. 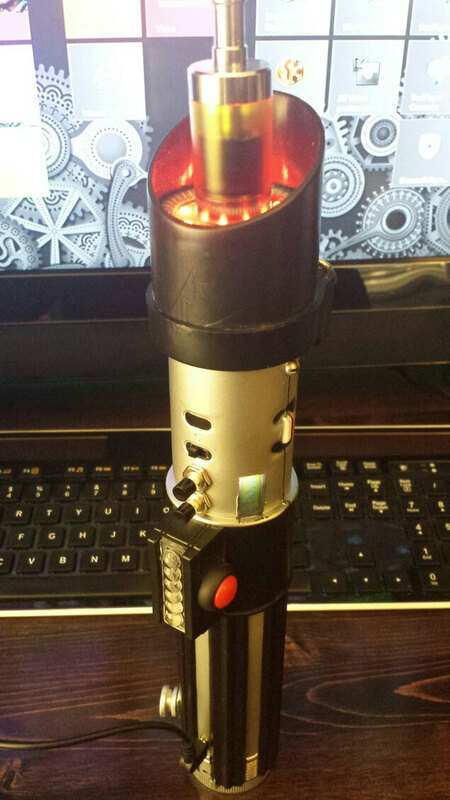 The force is strong with this custom mod. The attention to detail is nice and just imagine the number of batteries you could fit in there. 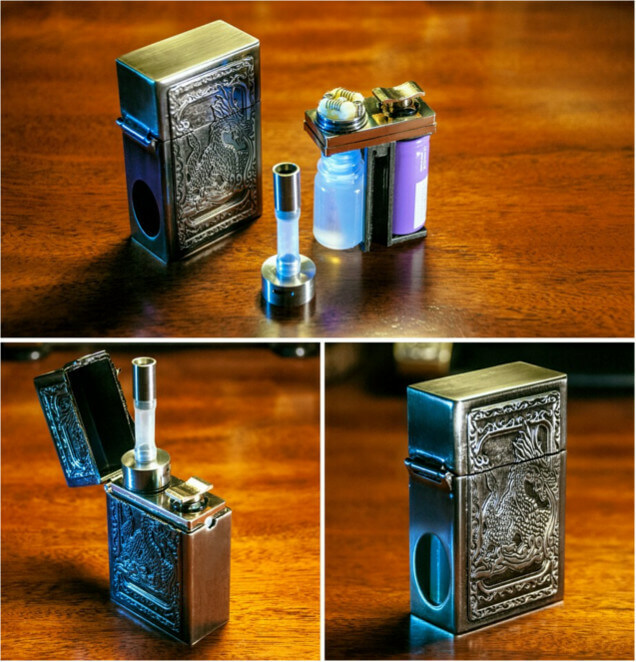 Any vaper which is a fan of star wars may appreciate what the creator has done here. Just do not accidentally turn on the saber part when taking a vape. 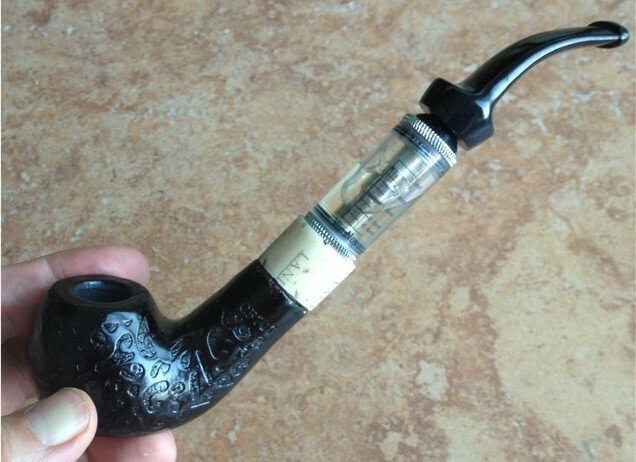 Before vaping, pipes had a special place in our hearts, the shape and feel of holding one was just awesome. The passion and devotion that went into creating such an icon of what came before is astounding. Nothing is more refreshing than an ice-cold Cola, or is there some other method that could be just as good? 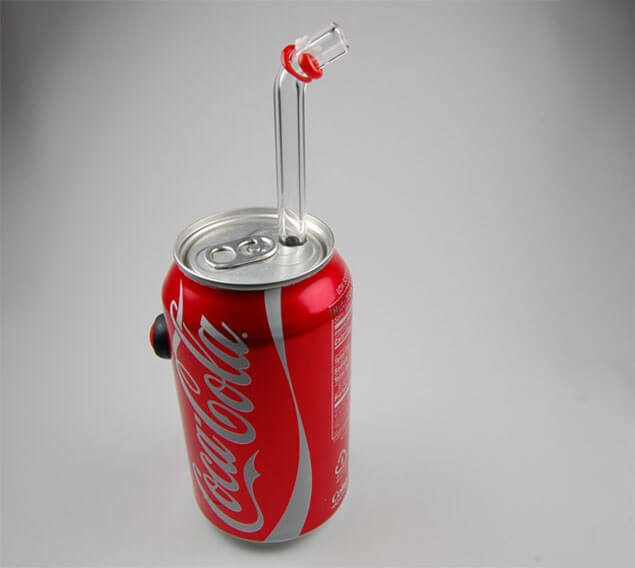 What about having your vaporizer in a Coke-can with Cola flavored E-liquid? Sounds good to us, well maybe not the Cola flavored e-liquid. An interesting idea, though is it practical – probably not. Even if you do not drink, a flask is a great keepsake. Some flasks are elegant and beautiful others get turned into an impressive portable vaporizer that is sure to turn heads. This mod may make people even take a second look to see if your drinking in public or something else. 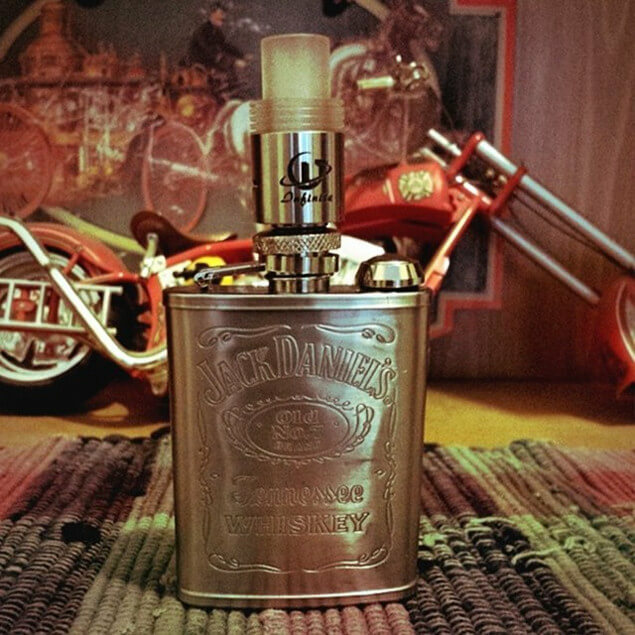 The mod is overall an interesting idea, bonus points for going with Jack Daniels. Maybe the most practical out of the vaporizers we have shown. Vaprwear has just recently released wearable portable vaporizers. This first is a hoodie, and the second is a backpack. They house internal vaporizers which you can access via an extended mouthpiece. Vaping has become a way to express ourselves not just in the way we vape, but in the way we design and customize our mods. All of these custom vaporizers are the process of a passion for vaping and being creative. Which one would you prefer to have – maybe all of them? Use a poll or let us know in the comments. Also, if you are new to vaping check out these vaporizers to help you get started.